Looking to add a little colour to a shade garden? 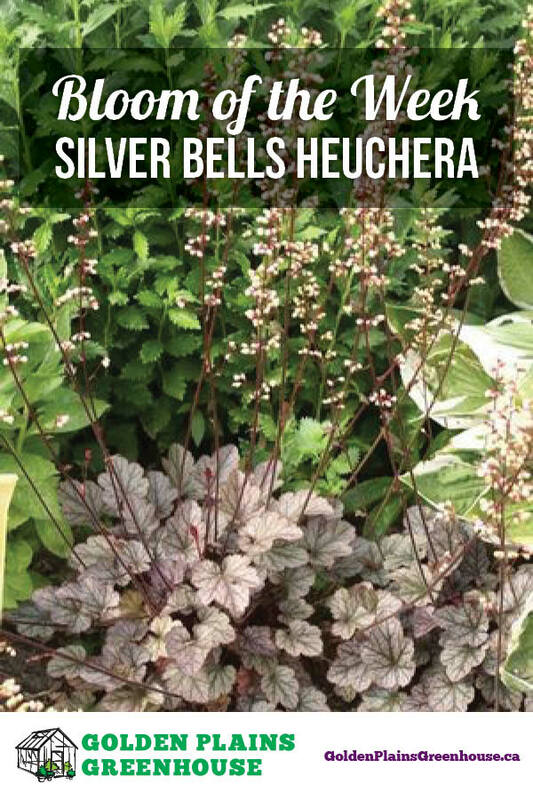 Silver Scrolls Heuchera make a wonderful addition, starting off silver and burgundy in spring and deeping to silver and near-black later in the season. Delicate light-pink flowers appear in late spring to early summer adding another layer of interest. This perennial is extremely versatile, use it in: mass plantings, rock gardens, border edging, ground cover and containers. Silver Scrolls really stands out when next to variegated plants such as Fire & Ice or Ben Vernooij Hostas. Heuchera grow best in medium wet, well-drained soils and shouldn't be allowed to dry out. Silver Scrolls will grow well in full shade as well as full morning sun, but only in our cooler climate. To keep this Heuchera blooming longer, remove the stems of flowers as they fade. If your not yet convinced that this is a great addition to your garden, you should also know that not only is Silver Scrolls deer and rabbit resistant, but it will attract butterflies and hummingbirds!